Windows are a great accent to your home, especially when they’re defined by GFRC windows surrounds by Stromberg Architectural Products. Window surrounds create a unified design and increase curb appeal. Stromberg can craft your window surrounds in virtually any shape or size and you can choose from a wide variety of textures, finishes and colors. GFRC window surrounds will align perfectly with your home’s surrounding features, creating a more appealing appearance. 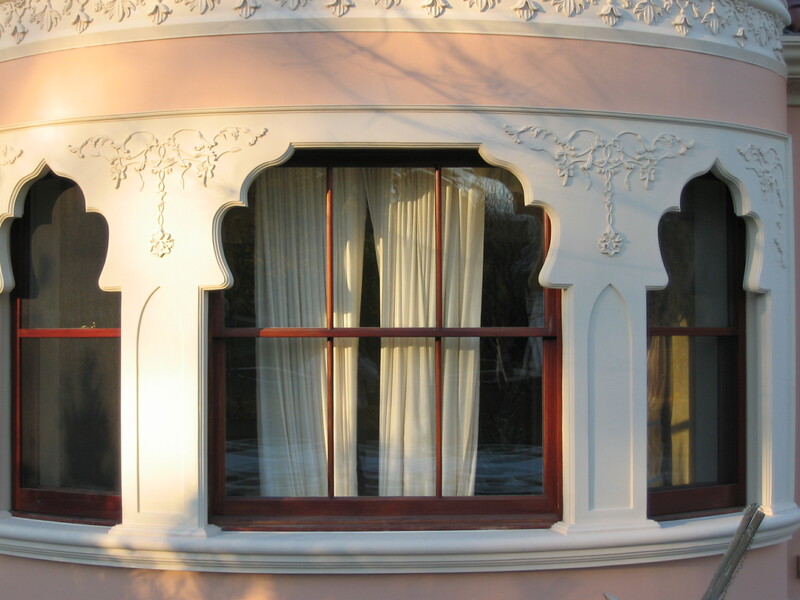 Stromberg will help you choose the right surround to fit any window. You can choose to create a custom design, or you can pick one from their large stock collection. Unique patterns and contours are both possible with their hundreds of options. The professionals at Stromberg have become industry leaders by providing the highest quality glass fiber reinforced concrete products to commercial and residential clientele all over the world. They provide support and guidance and every client gets top-priority treatment. Their passion for excellence is apparent, no matter if the job is large or small. CAD drawings and help with specifications, prototypes and installation are some of the services provided by Stromberg. Stromberg GFRC is one of the most weather resistant materials on the market, making it an excellent choice for your window surrounds. Glass fiber reinforced concrete is virtually maintenance free and you can count on it to beautify your home for generations to come. GFRC from Stromberg is available in an array of different colors, textures and finishes and can be painted to match your home’s existing décor . Glass fiber reinforced concrete can be made to have the look and feel of real stone, terra cotta or even wood. GFRC is made from minerals and won’t burn. In addition, it protects the materials behind it from the heat of the flame. Stromberg glass fiber reinforced concrete has a smooth finish that keeps moisture out and it won’t rust, rot or corrode. Stromberg Architectural pioneered the use of GFRC, and their unique window surrounds grace homes and buildings all over the world. Their mission is to partner with you and guide you every step of the way through the design process of your GFRC window surrounds. At Stromberg, they’re experts at what they do. Contact them today at 903-454-0904 for a free custom quote.